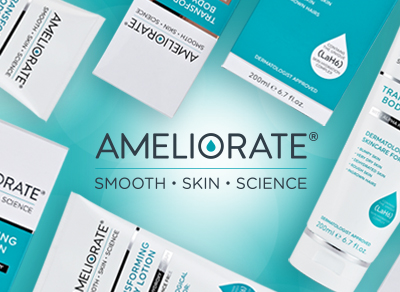 Ameliorate provides relief for Keratosis Pilaris (chicken skin) and other dry skin conditions with its collection of complementary skin smoothing products. Ideal for all who struggle with dry, rough and bumpy skin, Ameliorate delivers superior skin smoothing and hydrating care with its unique synergistic complex of high quality moisturising ingredients and natural lactic acid, plus alpha hydroxy therapy to intensely smooth. Rough and bumpy skin becomes smooth, hydrated and healthy-looking. Goodbye chicken skin!